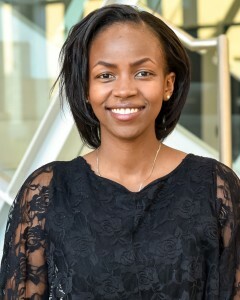 Profile: Miss Irungu is a Bachelor of Commerce alumni from Strathmore University (2014). While still a student she engaged in entrepreneurial ventures where she run an African curio business with most of the clients being fellow students and lectures. She holds a Masters in Applied Finance and Business Administration from the University of Newcastle Australia. Miss Irungu while studying was a student peer mentor from 2015-2017 at the University of Newcastle, meeting new international postgraduate students and helping them transition. She is currently the financial administrator with the Kenya Association Newcastle on probono basis. Miss Irungu is highly experienced with impeccable business acumen.